KENNEDY SPACE CENTER, Fla. — Satellite manufacturer OneWeb is thinking about oranges, Sun-drenched beaches, and Disney World… well, sort of. The Channel Islands-based company has inked an agreement with Space Florida that could see as many as 250 high-tech jobs brought to Florida’s Space Coast. According to a report appearing on Florida Today, some $80 million in capital investment will be brought to bear to bring a satellite production facility to Kennedy Space Center’s Exploration Park. About $36 million of that will be used to construct the factory. Space Florida attempted to keep a lid on the announcement as long as possible with SpaceFlight Insider receiving an invitation that made it clear it was not for public consumption. However, within just a day or two of the big announcement, it was clear that the cat was out of the bag. Both Florida Today’s James Dean and Reuters’ Irene Klotz posted articles about what was to be announced. While perhaps disappointing, in the end, the information was the same – Space Florida had racked up yet another win for Florida’s Space Coast. Something much needed after the close of NASA’s Shuttle Program in 2011. In September of last year (2015), Space Florida made a huge splash with its announcement that Blue Origin would be launching from Cape Canaveral Air Force Station’s Space Launch Complex 36. In terms of today, however, as they say, this is not that. 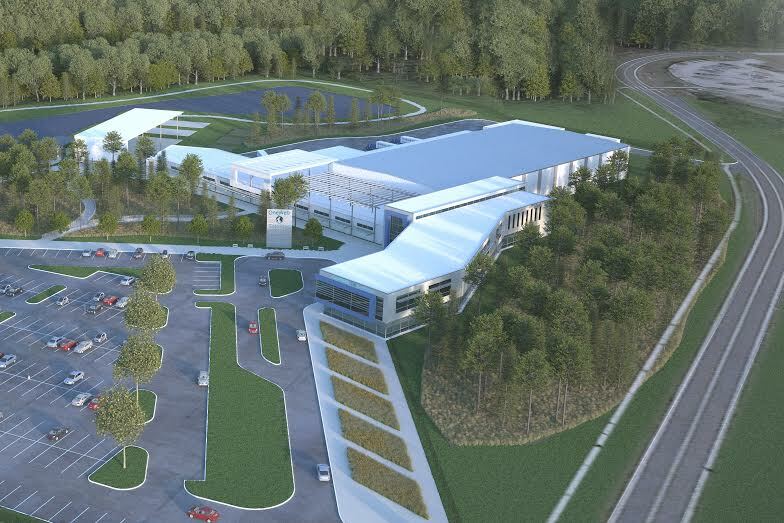 While Blue Origin, SpaceX, United Launch Alliance, and NASA might all be launching from the Cape, OneWeb will be performing an entirely different type of work from its new facility. This will require new skill sets, tools, and capabilities that should further enhance the region’s high-tech aura. “This is an exciting day for OneWeb and brings us one large step closer to our goal of providing affordable broadband to the four billion people yet unconnected to the Internet. 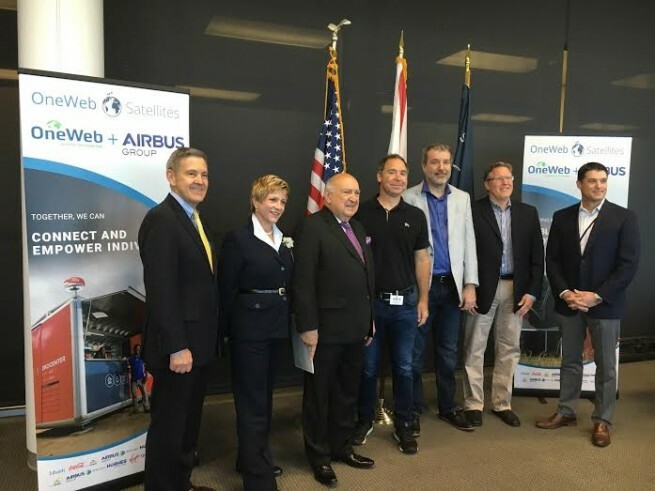 Florida and the Space Coast have been very supportive in arriving at a cost effective solution that will allow us to begin deploying our unprecedented constellation starting in 2018,” said OneWeb’s CEO Matt O’Connell. For OneWeb, this is just the latest, and perhaps most logical, step in its goal of providing internet services to the globe as it would mean that spacecraft completed at this facility would cut out the middle man in terms of traveling to the launch site. OneWeb hopes to field as many as 900 small satellites tasked with providing internet services. These first 900 production satellites will weigh in at about 331 lbs (150 kg). It is hoped that these spacecraft will provide improved performance over satellites that have been manufactured under traditional methods. Space Florida joins heavyweights such as Airbus Defence and Space, Virgin Galactic, and Arianespace in contributing to OneWeb’s efforts.